The volume discrepancy between FIXFAST and MDP3 was due to the leg information not being disseminated in FIXFAST when there was a match in the spread market. This is expected as we do not update volume on legs of spreads for this product until the next trade tick in the instrument. At 17:00:00.002 CDT, there was an opening trade for ZNU5. Here, the TradeVolume for ZNU5 for both MDP3 and FF is 1. At 17:00:13.412 CDT, there was an opening trade for ZNM5-U5. ii. We do not publish leg volume for this product. Similarly at 17:17:41.868 CDT, there was another trade for ZNM5-U5. Finally at 18:43:53.936 CDT, there was a trade for ZNU5. 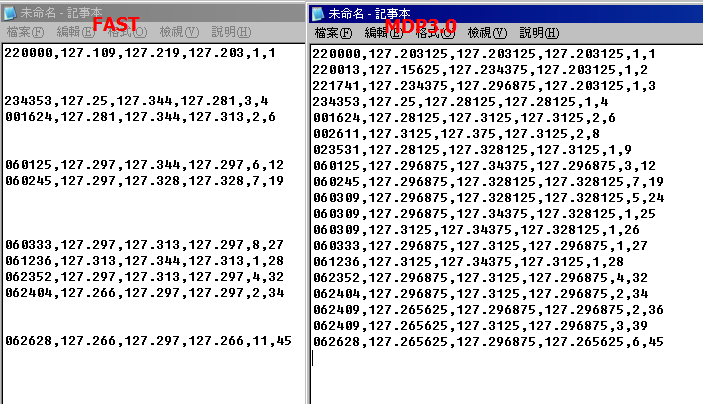 Here, both MDP3 and FF published a TradeVolume of 4.